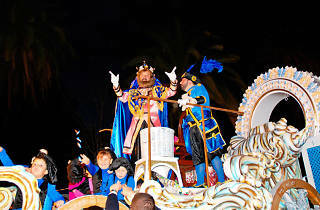 It's the most anticipated night of the year for kids all over Catalonia and Spain. The Three Kings (known as the Three Wise Men in some circles) arrive in Barcelona atop their floats bearing mountains of sweets and gifts. Before them are amazing floats with lights and celebrations galore. If you want to hand deliver your letter to the Kings, there will even be some 80 real postmen in the parade to be sure all your wishes come true. 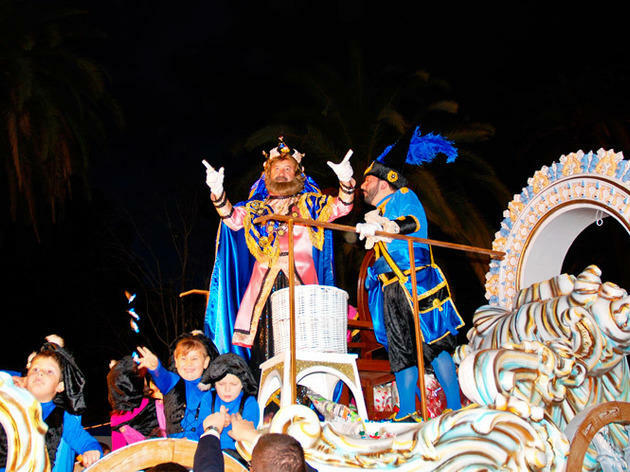 As is tradition, the fun starts at 4.30 in the old port, at Moll de la Fusta, where the Kings sail in on the 'Santa Eulàlia' schooner in the company of all their helpers. After the traditional welcoming ceremony, the journey begins that will take them through several city streets, from 6pm and up to about 9pm.